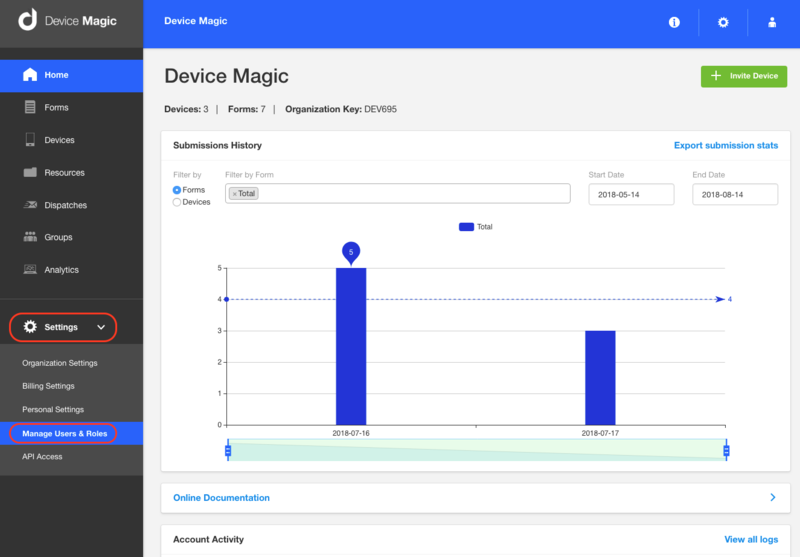 In addition to managing user access via Roles (see this article for more info) you can now assign Groups to Users to control which Forms / Devices they have access to. 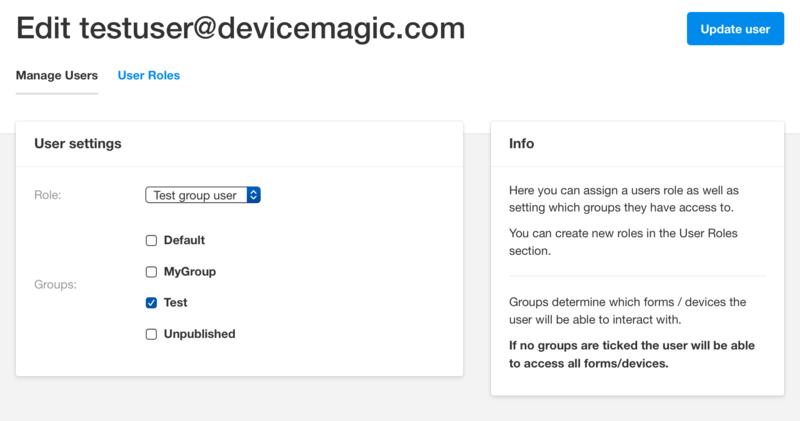 Managing the User Groups is done from the same edit page as the Users Role. To alter the user you just click the pencil on the right hand side. Then, navigate to the "Groups" section and tick/un-tick the groups.